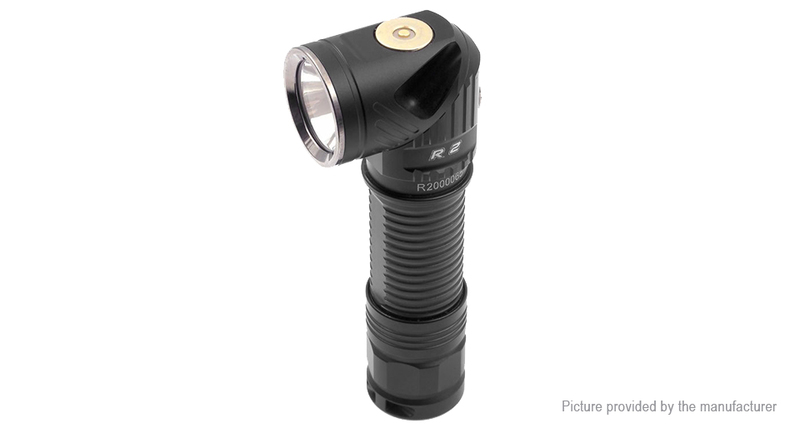 R2 is an innovative multifunctional magnetic charging LED flashlight with adjustable-angle head, utilizing CREE XM-L2 U3 LED. it delivers the max output of 700 lumens when using 14500 Li-ion battery, compatible with alkaline AA battery and NI-MH AA battery. The head rotation structure combines with “non-acute angle design”, stable and reliable, the head can rotate freely. The flashlight designs with magnetic tail cap and mental clip, it is convenient for multifunctional use. With compact size, it can be used as headlamp while using with headband. After installing battery and screwing on the taill cap.R2 will auto-matically detects remaining battery power. The green power indicator keeps illuminating about 2 seconds,which means that the battery power is more than 40%. The red power incicator keeps illuminating about 2 seconds,which means that the battery power is less than 40%. With the light on,when the battery voltage is low,the red indicator will bink every second to alert user that the battery power is close to depletion and we suggest to charge battery promptly.